After his first morning of preschool, Jackson sits on a bench outside the elementary school to show me the ocean he made. There is nothing like first days to drive you to your knees. 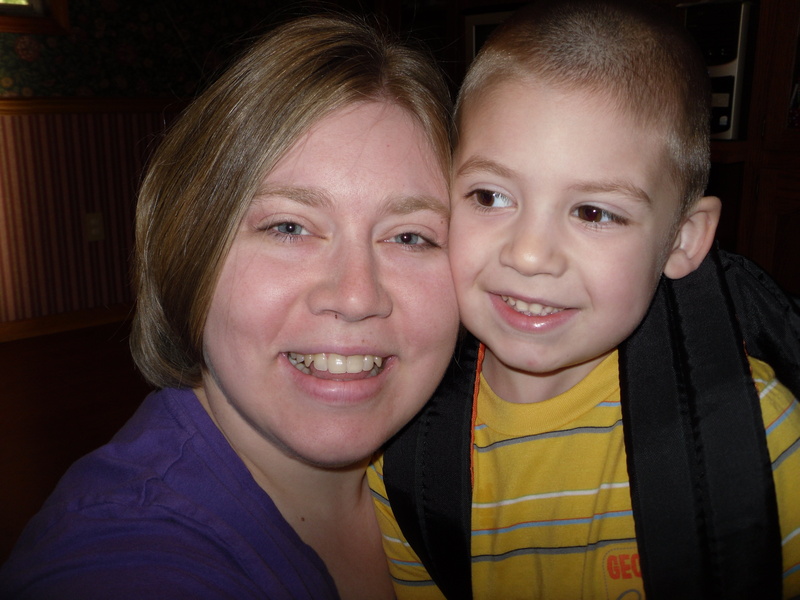 Jackson began preschool today, and like most moms I think I was just as nervous as him. It is a wonderful and aching feeling to watch your child grow up. As we prayed together in the car before going into the school, hearing my son talk to his Heavenly Father was so precious. He walked bravely through the halls to his classroom, though I know he was a little scared, and marched right up to his teacher to inform her of a few things before he went off to play. 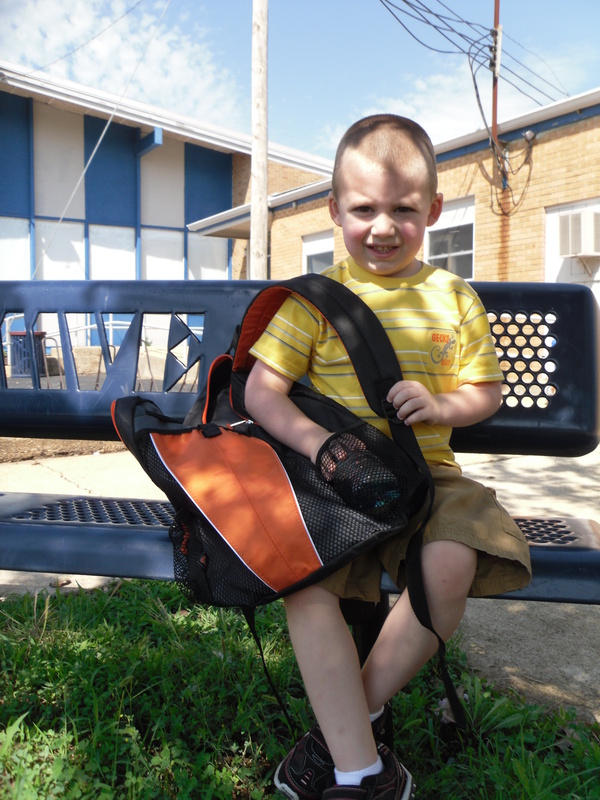 Snapping a few photos of him wearing his new backpack felt so momentous. I could tell I wasn’t the only mom who was definitely looking forward to seeing her baby, I mean preschooler, and hearing about their first day, as we all stood outside the school waiting to pick them up mid-day. The class came streaming out to open arms and hugs and kisses, as they all clamored to share their stories of the morning. that God would guard his heart and keep it tender for what is true, noble, right, pure, lovely, admirable, excellent and praiseworthy. that Jackson would be kind, friendly and polite to those around him. 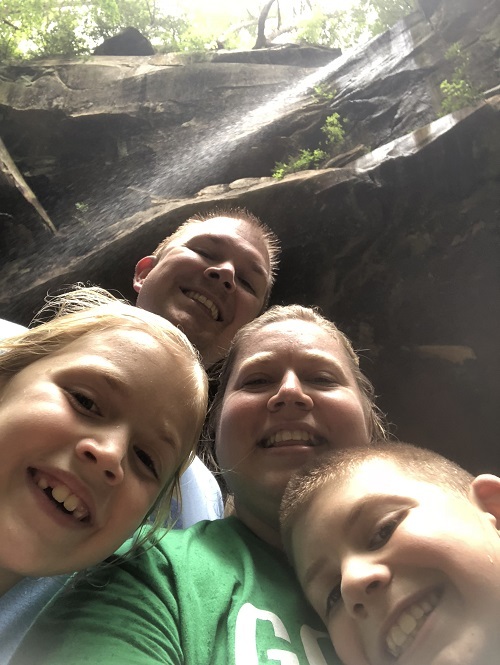 that his friends would be positive influences in his life, and that God would protect those children and bring their moms and dads into a saving relationships with Him. that God would strengthen and shower his teacher with wisdom, patience and grace. that his teacher would help Jackson to learn and encourage his curiosity and creativity. that Jackson would know, more than ever, that God is with him and loves him. As the years pass, and first days of school come and go, I know my heart will echo these prayers again and again. Jackson and me getting ready to leave for his first day of preschool, and after four years we still love being cheek to cheek! 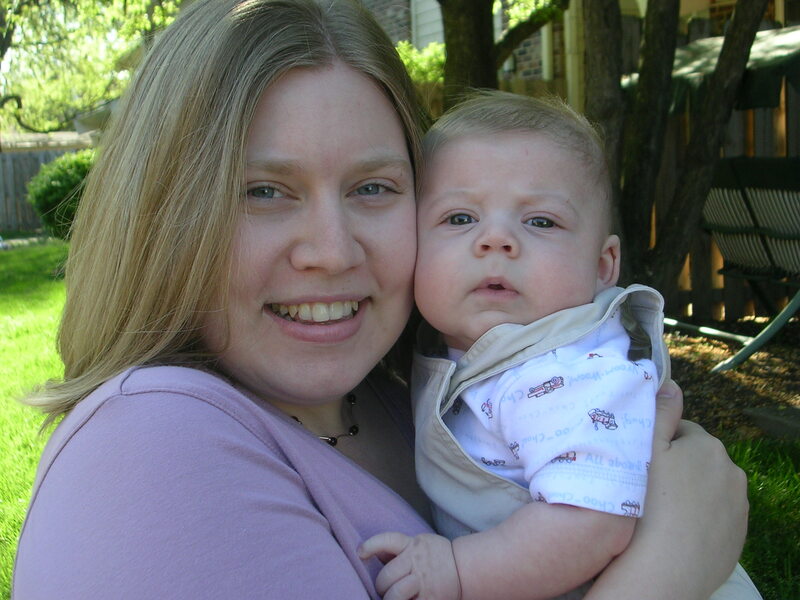 Jackson and me on my first Mother's Day in 2007. As most parents will say, I can't believe how fast they grow up!